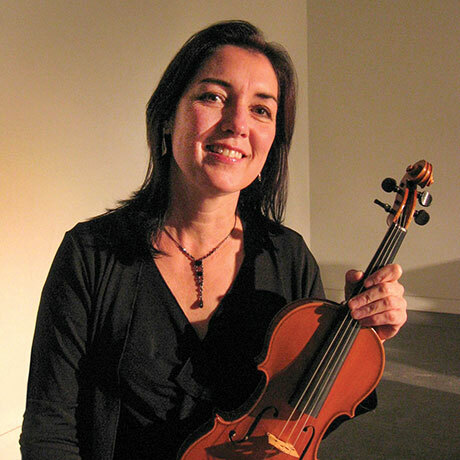 Lisa Lantz studied many years with the late great virtuoso violinist, Ruggiero Ricci and former concertmaster, Jacob Krachmalnick. For nearly a decade, she participated in European master classes with internationally renowned artists Aaron Rosand and Nathan Milstein. Dr. Lisa Lantz, Chair of Performing Arts is a Professor of Music and Conductor of the Alfred University Symphony Orchestra, and is the Director of the Strings Program. She is also an Adjunct Professor in Italian for the Division of Modern Languages. Dr. Lisa Lantz is the Artistic Director and Founder of the MostArts Festival, a summer Music and Art Festival at Alfred University consisting of an International Festival Orchestra, Chamber Music, renowned Steinway artists and the Young Pianist Competition for high school musicians. The MostArts Festival is held each summer in early July. Dr. Lantz is the recipient of the prestigious "Fiat Lux Award" presented by President Mark Zupan, in recognition of her creative vision in establishing the MostArts Festival at Alfred University. For information on the MostArts Festival, Young Pianist Competition, Workshops, and Schedule of Events, visit the MostArts Festival official website. In addition to teaching full time, Dr. Lantz continues to be an active violinist, and conductor with concerts that have taken place both in the United States, as well as in Europe, including Dvorak Hall in Prague, Franz Liszt Hall Budapest, and San Benedetto Cathedral in Rome, Italy. Dr. Lantz is an experienced orchestral conductor with performances in both symphonic works as well as choral including Mozart's Requiem, Handel'sMessiah, Bach's Magnificat, and Carl Orff's Carmina Burana. An experienced orchestral and chamber musician, Lisa Lantz has performed with many regional orchestras in Western New York including The Orchestra of the Finger Lakes, Western NY Chamber Players, and served as Concertmaster of the Southern Tier Symphony. She has served as a chamber music clinician for the Delaware Music Festival at Ohio Wesleyan University and as conductor and chamber music coach for the "Vivace String Camp" at Houghton College, NY. Since 1979, Dr. Lantz has spent extensive time traveling and studying throughout Europe and has lived in Rome, Italy. During this period, she studied Italian through the Vatican and at the San Tomasso d’Aquino [Dominican College] in Rome. Prior to coming to Alfred University, Dr. Lantz was a visiting Professor of Italian at Ohio University, Athens, Ohio, and taught Italian for 3 years at The Ohio State University. She is greatly interested in Italian culture, music and opera, art and architecture, 19th and 20th century literature. Within the community, Dr. Lantz is the Music Director and Founder of the Alfred University Junior String Program teaching strings to area children from 5-16 years old. Since its debut, the Junior String Program has served nine school districts in Allegany and Steuben Counties with over 40 children in four different ensembles. She continually demonstrates her love of teaching young musicians through her various string clinics, workshops and conducting engagements from elementary to high schools in Western NY as well as around the country.